Here we go again; boys with guitars but this is what the worldwide singles charts like now. Lawson release their debut single When She Was Mine on May 25th. Andy Brown their lead singer looks like Josh Groban singing with Busted after going shopping with The Wanted. Curls are in! 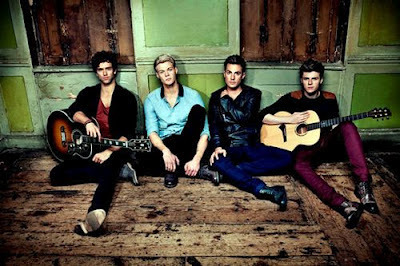 They have supported Will Young and The Wanted to date and will also play support to Westlife when they sing their final concerts in Croke Park this summer in Dublin. Here's their new video for When She Was Mine.